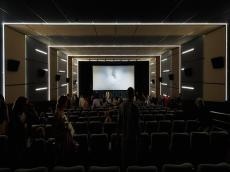 "Under one Sun" documentary film that was shot by Baku Media Center in partnership with the Heydar Aliyev Foundation will be presented for the first time in the Ethiopia. The documentary will be screened as part of Asia Pacific Film Festival, to be held in the city of Addis Ababa on September 15- 23. Shot as part of a series of events under the Year of Multiculturalism, the documentary provides an insight into life, culture, traditions of ethnic minorities in Azerbaijan. The project manager, chief producer of the documentary is Arzu Aliyeva. The film was shot in a number of regions of Azerbaijan, including 54 villages and settlements. The film crew interviewed 134 representatives of 17 ethnic groups. The crew also took photographs of 3,850 must see places and 2,625 representatives of different ethnic groups. The documentary "Under one sun" will be presented at the Italian Cultural Institute on September 15. The Asia-Pacific Film Festival (APFF) is an annual film festival hosted by the Federation of Motion Picture Producers in Asia-Pacific. The festival was first held in Tokyo, Japan, in 1954. The festival features twelve films - love stories, comedies, thought-provoking documentaries and inspirational true stories - each providing a distinct window into the diversity and vibrancy of life across the Asia-Pacific region.